There are enough worries as a mom—stop worrying about plastic bottles and the scary chemicals in them and move to glass. Smitten Baby glass bottles are not only fun and trendy, but you'll never have to worry about BPA in your baby's bottle again. 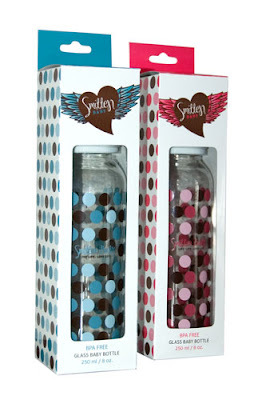 These glass bottles feature fresh colors and a cute design that both you and your baby will love. Change things up and add some spice—now your little hipster can drink safely and in style. Smitten Baby is a small company with a big heart. 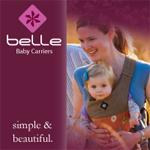 Our Mission is simple - keep babies and their parents happy by offering genuinely safe, long-lasting, eco-practical baby gear. Based in Toronto, Canada, our products are all made in Canada, using local materials and manufacturing. This means we can assure you of the quality and safety of our proucts. In fact, all Smitten Baby products not only meet, but exceed, the strictest North American and European safety guidelines. At Smitten Baby, we believe that you can’t be committed to babies without being committed to the future of our planet. That’s why all products are designed, sourced, shipped and sold under uncompromising standards of environmental stewardship. Rest assured, when you choose our products, not only are you keeping your baby safe, you’re helping to protect the environment too. That’s the Smitten Baby promise.